Walt Disney is one of the best visionaries that the world has ever seen. You would think success came easy to him, but no, his idea for a Disneyland park was rejected over 200 times, but the man had big dreams. He even got fired from a newspaper! He wasn’t going to give up until he found success, in which he did. Just imagine, there wouldn’t be a Disneyland, Disney world, or all the amazing Disney movies such as Toy Story etc without Walt Disney’s work ethic, passion, perseverance and plan of action. Walt created something amazing for everyone to enjoy and it all started from a dream. He was very passionate about his dreams and no matter what happens, the pit falls, the failures, he learned from his mistakes. 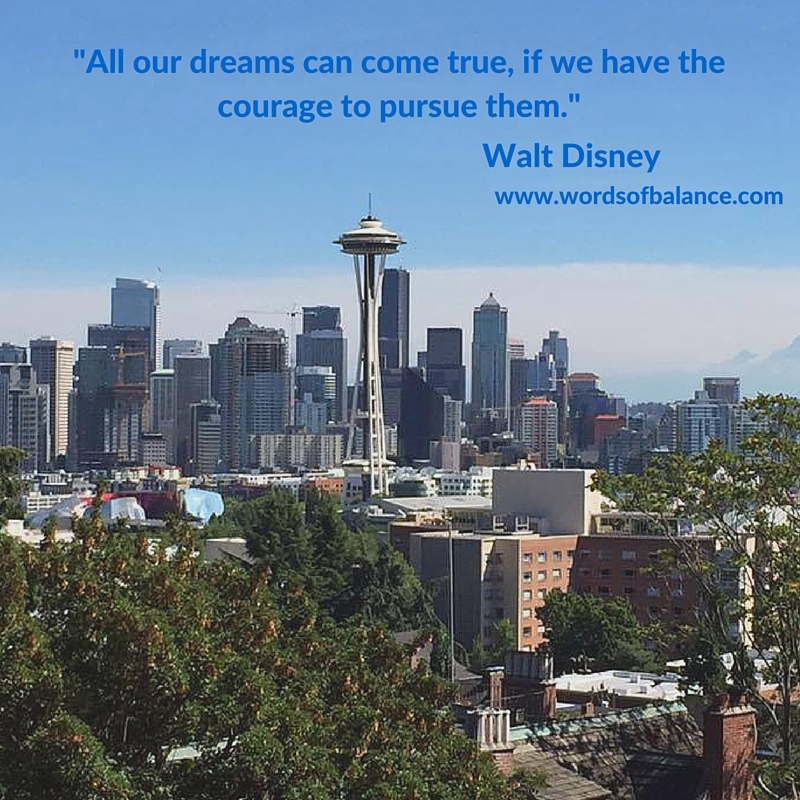 Walt Disney truly believed in himself and his dreams, which made a world of difference because nothing was going to stand in his way. Everyone needs to have some sort of dream (no matter how big or small it is) because we do only live one life and why not make it a life worth living? We should have something that we are working for. So today, I ask you all, what are you doing today, tomorrow, the next couple of months and years to make your dreams a reality? Be bold, have courage, take risks, believe in yourself and most of all, be passionate about what you do. The world needs more dreamers…so dream big!